A November 24 deadline for a resolution to the talks is 40 days away. The Iranian negotiating team has left for a fresh round of talks on Tehran's nuclear energy program scheduled to be held in Vienna, media reported Tuesday. The team is being led by Foreign Minister Mohammad Javad Zarif, according to Iran's Press TV. The Indo-Asian News Service (IANS) reported that Zarif is scheduled to meet European Union (EU) foreign policy chief Catherine Ashton, who heads the team from the P5+1 group – the US, Russia, China, France and Britain plus Germany – Tuesday night to discuss the progress of the nuclear talks and the agenda for the negotiations. 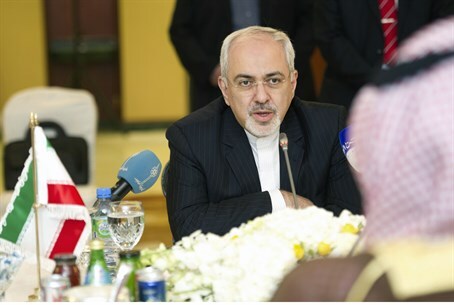 Zarif will then attend a trilateral meeting with US Secretary of State John Kerry and Ashton Wednesday. This round of talks is the eighth this year between Iran and the P5+1 group. Tehran and the P5+1 group wrapped up their latest round of nuclear talks in New York last month. On Monday, Iranian President Hassan Rouhani said that Tehran and the world powers would "certainly" reach an understanding on Iran's nuclear program. "On the nuclear issue, the two sides will certainly reach an understanding and this understanding will be based on the win-win principle," Rouhani said. Iran and the P5+1 countries sealed an interim deal in Geneva, Switzerland, on Nov 23, 2013, for a six-month period. The deal, which took effect on Jan 20, expired July 20 and was extended until November 24.